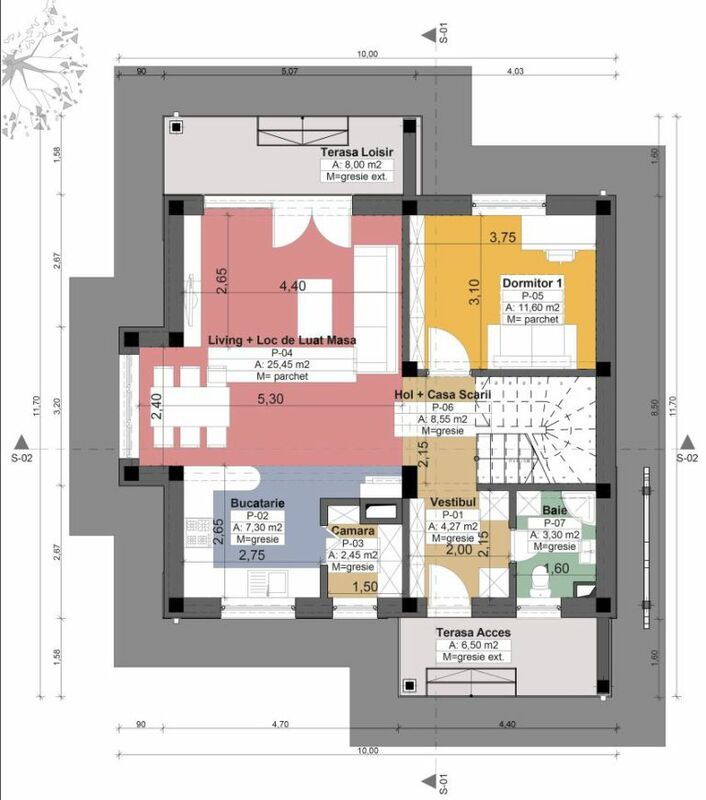 We have prepared in the ranks below three projects of houses with floor or attic, under 150 square meters, ideal for a family of three or four members. 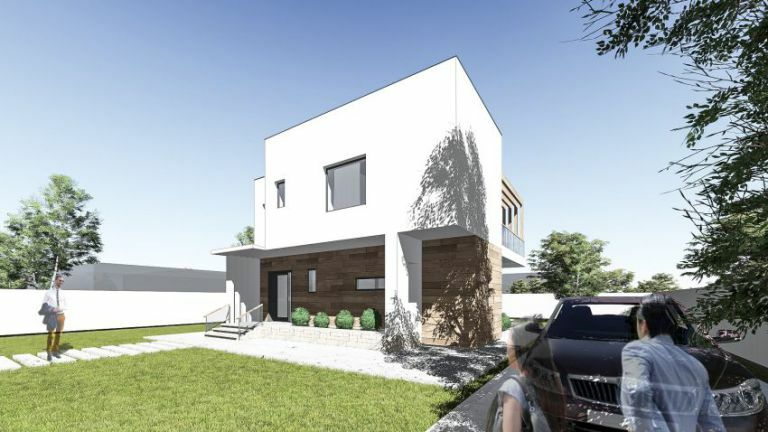 The first project is a modern house with a useful area of 124 square meters and a cubist design that is appreciated by young, modern and open families to daring ideas. 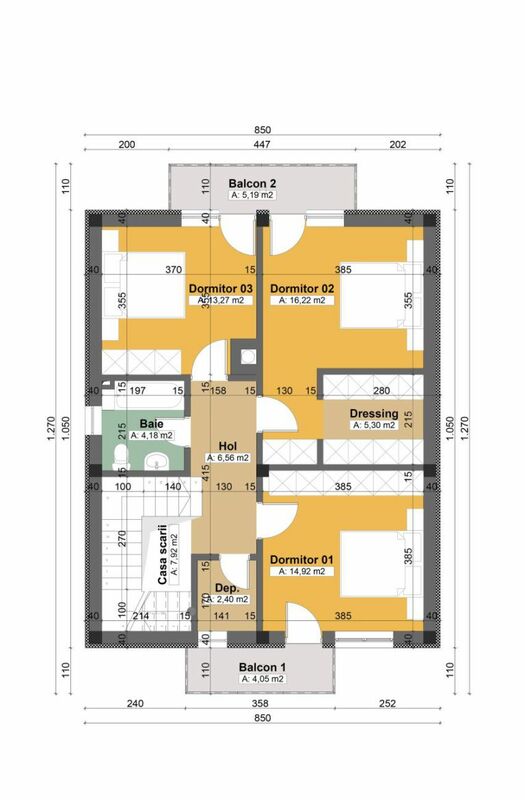 The ground floor comes as an open space that includes the three traditional rooms – kitchen, dining room and living room – with outdoor access on a terrace of 21 square meters, while upstairs there are two bedrooms, one matrimonial with private bathroom, the other with access a spacious balcony. The key price varies between 58,100 and 83,000 euros depending on the finishes. The second project is a house with a traditional design, but with decorative exterior elements full of personality, such as brick surfaces in various colors, in harmony with the roof of the ceramic tile. 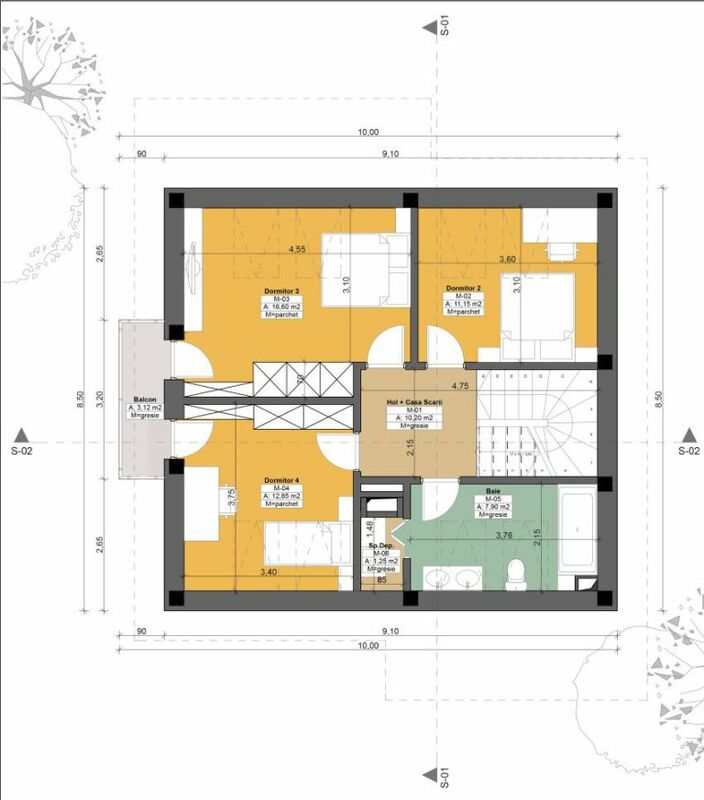 With a useful area of 141 square meters, the house combines, like the previous, the living spaces with those resting on the ground floor, with other rooms serving storage. Upstairs there are three other bedrooms, each with access to the balcony. 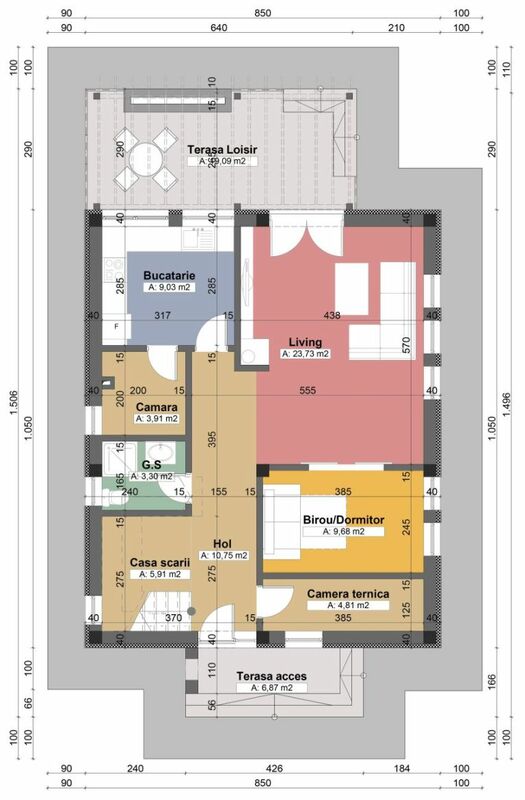 The key price of this house is 62,475 euros. 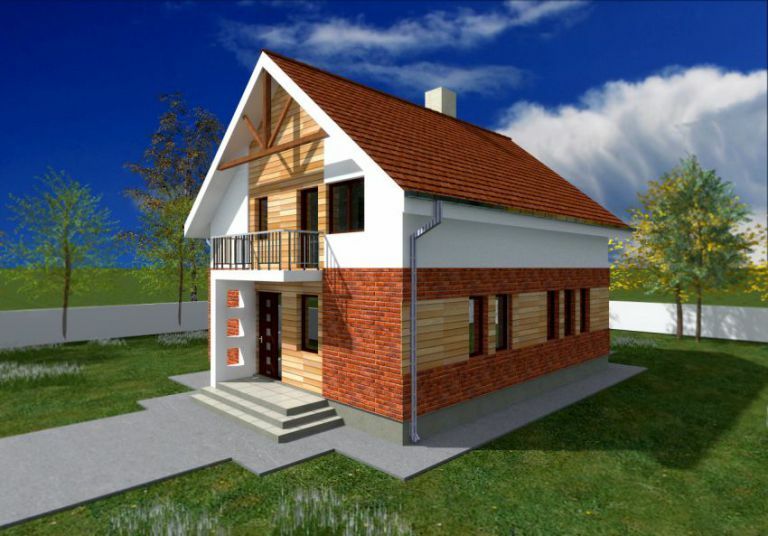 The third example is a house with attic and a useful area of 123 square meters. It is a beautiful house with a modern allure, in which the stone and brick inserts on the facade gives it a special look. 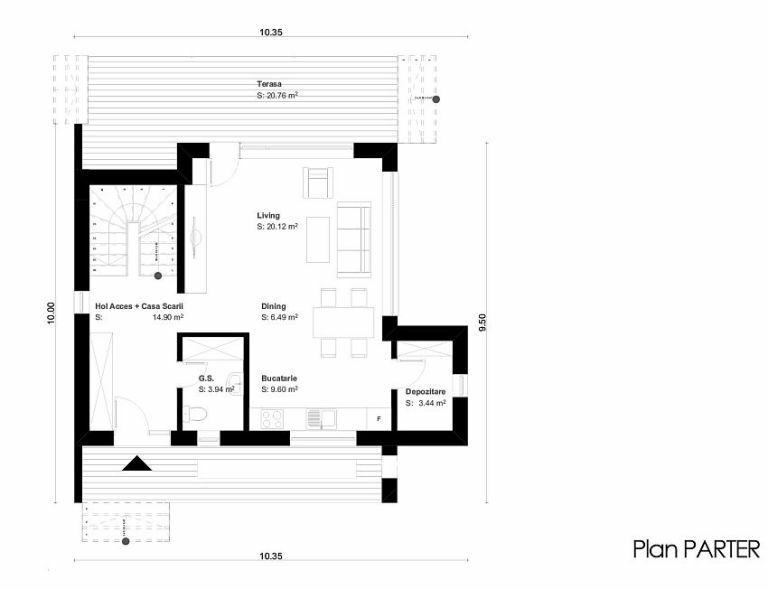 The ground floor is in this case more tenderer, comprising, besides living room, dining room and kitchen together, on more than half of the plan, expanded outside through a terrace, and a bedroom. 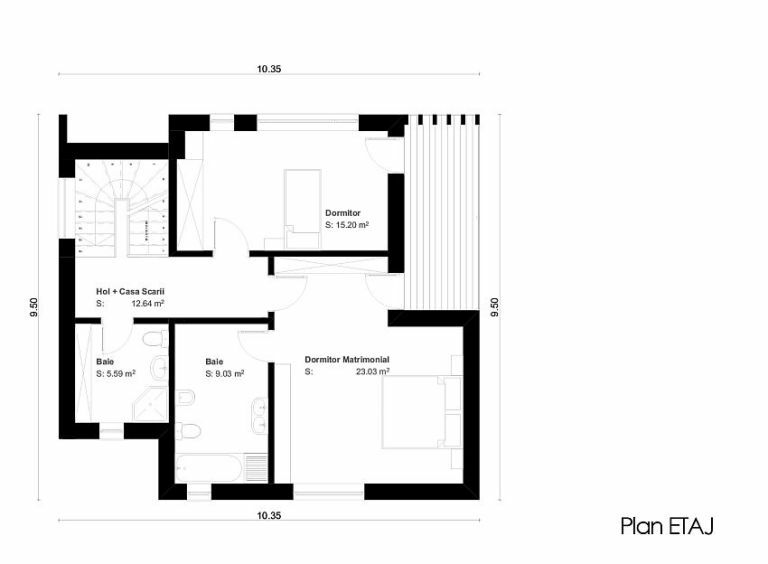 Three other spacious bedrooms are found upstairs, two sharing a balcony again. 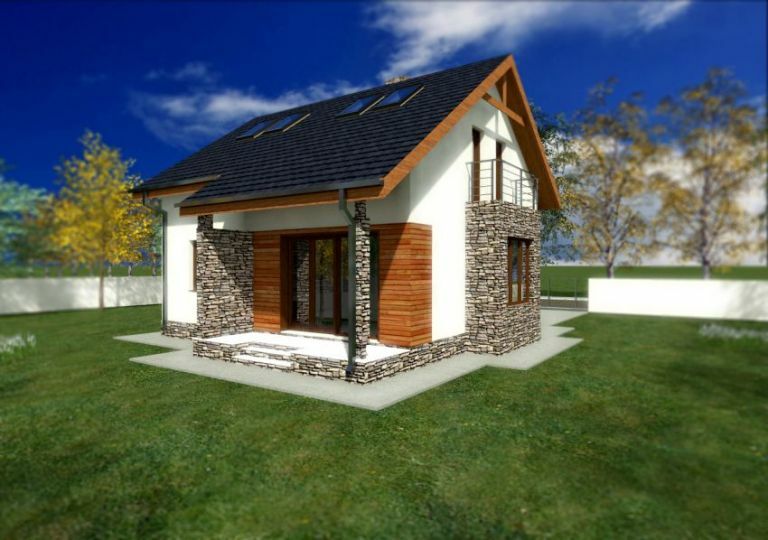 The key price of this House is estimated at 56,000 euros.